Duh! Right? Everybody knows that—at least everybody who claims to be a Christian. God’s anger is the problem. Jesus is the solution. God is angry. Sure—righteously angry—but angry nonetheless, and nobody wants to get in the way of an angry God. Why is God angry? Because we’re bad. We’re bad; God’s angry; that’s a problem. But Jesus got between us and God, absorbed God’s anger, and if we accept the gift of salvation, then God won’t be angry at us any more. So our biggest need was forgiveness, and our biggest problem now is convincing ourselves that God isn’t still (secretly) angry at us any more. Sin destroys all that is good and holy. A child is molested and scarred for life. A spouse is unfaithful, and a family is torn apart. A person sinks into a harmful addiction. Sin destroys people, families, communities, and nations. 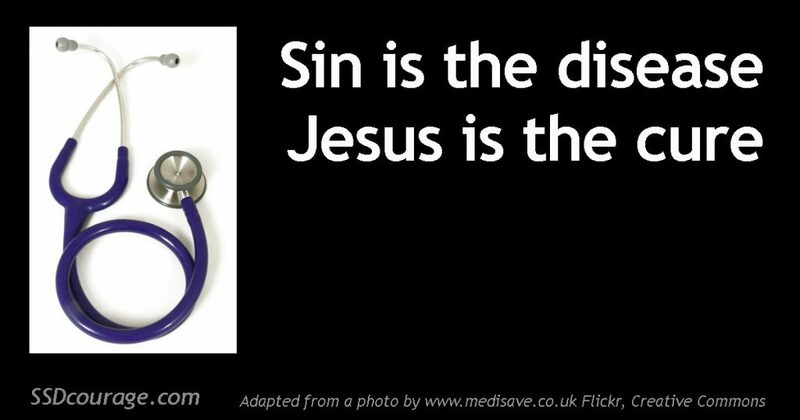 Sin put Jesus on the cross. But God is greater than sin; Jesus rose from the dead. Jesus is alive and well. He is repairing the damage done by sin and removing the power of sin in our lives. We, His followers, have new identities—not as sinners, but as children of God—part of the solution—not part of the problem. So the biggest need is not for us to be forgiven, but for us to be transformed. Heaven will be populated not with forgiven sinners but with transformed saints. That’s what I’m thinking. And, for me, that changes everything. What are your thoughts?